The International Solar Energy Society (ISES) will hold the Solar World Congress 2019, together with the IEA Solar Heating and Cooling Programme’s (IEA SHC) International Conference on Solar Heating and Cooling and the 9th International Conference on Solar Air Conditioning. 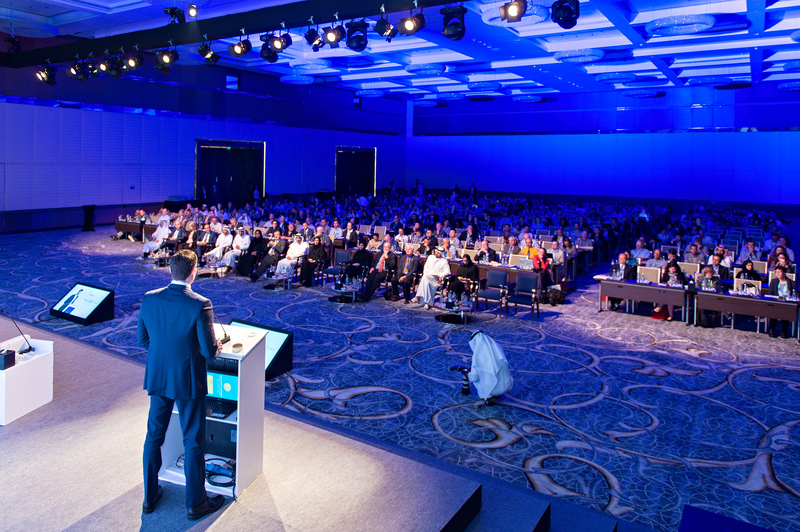 The Solar World Congress, held biennially since the 1950’s, and the 6th conference of the IEA SHC, will embody the spirit of international networking and exchange of ideas on an array of solar topics. The Solar World Congress 2019 will take place at the Centro Parque in Santiago, Chile from 04 – 07 November and will be hosted by the Solar Energy Research Center of Chile (SERC). This event also has the sponsorship of the Chilean Energy Ministry and the University of Chile. By joining forces with the International Solar Energy Society, there will be plenty of opportunities for your company/institution to communicate to decision makers, project developers, businesses, researchers and financers the significant technological advances and commercial successes of solar energy technologies. This engaging and unique setting of the Solar World Congress offers you instrumental reach and networking opportunities on a global level. To meet your marketing objectives and create an individual and successful conference experience for your company or institution, we offer a range of sponsorship and exhibition packages tailored especially to your needs. Each sponsorship package covers both conferences for maximum reach. Chile is one of the fastest growing and strongest markets for solar energy technologies. According to the Global Climate Scope ranking, Chile is the most attractive emerging market for clean energy technologies. In 2013, Chile passed a law mandating that 20% of its energy come from renewable sources by 2025, which has led to a surge in renewable energy projects. In 2018, Chile set a new target to increase renewables to 70% by 2050. Since 2018 Chile has already been producing 18% of its electricity from renewable energy sources, excluding big hydro-electric plants. Chile has enormous potential for renewable energy development, with some of the best solar energy resources in the world. According to the Bloomberg New Energy Finance 2H 2018 LCOE Update released recently, Chile has the lowest tracking PV LCOE (Levelized Cost of Electricity) at $30/MWh. Chile has also been praised by the IEA in its 2018 report “Energy Policies Beyond IEA Countries: Chile 2018 Review”, highlighting the country’s development as a leading destination for solar and wind developers thanks to supportive legislation that encourages investment. Today, Chile is the second largest market for renewable energies in Latin America. Chile is also home to several massive renewable energy projects that are powering Chilean Mines. The SWC 2019 will offer a study tour to view some of these projects in the Atacama Desert north of Santiago. Chile is gearing up to be a leader in the renewable energy transformation. Don’t miss your opportunity to take part in this land mark event to present your company, products and services, connect with international, regional and local solar energy leaders. 2019 will bring together a global audience from the solar and renewable energy community. Participants and speakers range from scientists and researchers to renewable energy industry, government and NGO leaders, entrepreneurs, practitioners, and students from around the world - this audience, exclusive to the SWC 2019 offers you just the right connections for your company or institution! Positioning – Be seen as a leader within the solar and renewable energy community. Branding - Raise your company's visibility, increase your brand awareness and highlight your company's presence as an active and important player in the field. Focus – Interact with an international audience. Generate new business for your products and services. Network – Our exhibition booths are located in the heart of the net-working and catering areas giving you the opportunity to network with colleagues, potential customers and leaders in solar energy research and development. The SWC 2019 will take place at the Centro Parque in the heart of Santiago. This new and modern conference center is situated in a public park, with convenient access and many good hotels nearby. The outdoor exhibition space, which will be accessible to the public, offers will offer unique opportunity to showcase developments, projects and solutions to an audience beyond the participants at SWC 2019.